Happy Saturday to you all--- it's time again to share another new card for your holiday craft projects for this year. 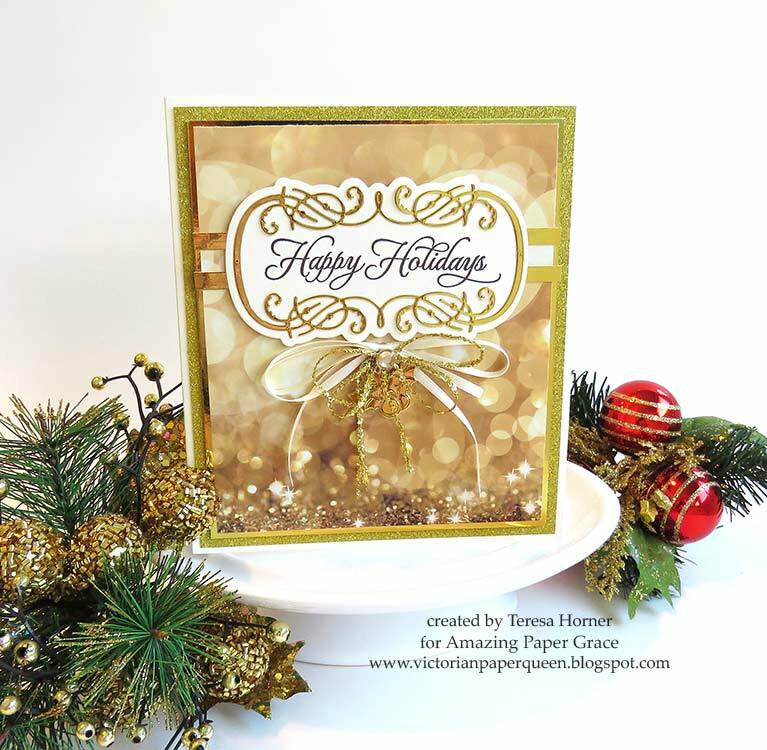 This week i picked another die from Becca Feeken's newest Christmas Collection called "Sentimental Christmas stamp and die set". This set comes with a delicate frame and shadow die to add to any kind of project you can imagine, three beautiful sentiment stamps and a cute little charm. 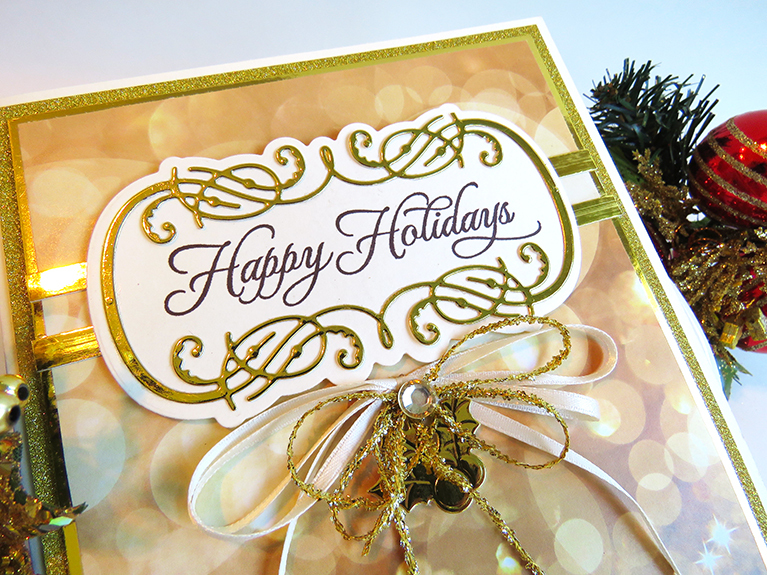 I used some gorgeous papers in gold and ivory to make a fun and glistening holiday card. 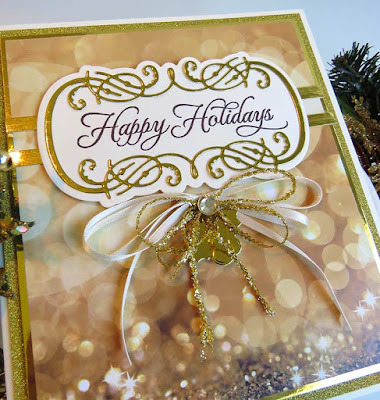 To make my card I started with a printed paper with glistening lights on it and then i added layers of gold foiled paper and glitter card stock to make it look festive. Then i cut 2 small strips of gold paper to put under my sentiment i stamped and to keep it from floating. The delicate golden frame only makes the rest of the card more elegant and the ribbons and golden bow with the holly tag finishes it perfectly. These are super easy to make for everyone on your list this year or maybe just to those favorite people that you really want to do something special for. And this set has an adorable little charm with holly leaves that will make any card you do that much more special.